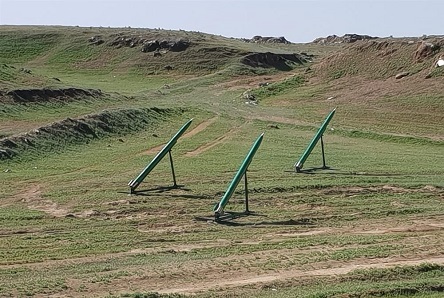 On 2 February, the Security Media Center and Joint Operations Command stated that elements of the 7th Iraqi Army Division, Jazeera Operations Command, found three 122mm Grad rockets rigged with electronic timers on launching platforms emplaced along heights in the Dulab area, located north of Hit. The rockets were directed towards Al Asad Air Base as the apparent target. ISF “managed to stop the timer 15 minutes before the launch,” said Joint Operations Command spokesperson Brigadier General Yahya Rasool. CF officials initially refrained from commenting on this incident, with no significant shifts in security postures readably apparent. This notable incident gained only limited international media attention. It is difficult to confidently classify this incident as the disruption of an imminent attack. As recently addressed, Iranian supported PMF continue to call for a parliamentary vote intended to demand the withdrawal of US forces from Iraq. During an interview with The Associated Press in Baghdad on 28 January, Asaib Ahl al-Haq head Qais al-Khazali stated that he anticipates conditions being met for a vote in the coming months. “I think more than half the members of parliament reject the presence of American military forces as a matter of principle,” he said. “If the United States wants to impose its presence by force, and to bypass the Iraqi constitution and parliament, Iraq can treat it the same way and drive it out by force… But the first phase is political,” al-Khazali said. Similar threats to conduct militant activity have been seen regularly in the past, and form an extension of the multi-generational proxy battle between the US and Iran. Escalation from rhetoric to kinetic activity is infrequent but not absent. Associated tensions will be further inflamed as the US continues to pivot from anti-IS priorities to controversial Iranian containment priorities as further stressed by US President Trump during an interview broadcasted on 3 February. “All I want to do is be able to watch. We have an unbelievable and expensive military base built in Iraq. It’s perfectly situated for looking at all over different parts of the troubled Middle East rather than pulling up.” As seen in previous escalations in tensions, the impact on client operations is expected to be limited.